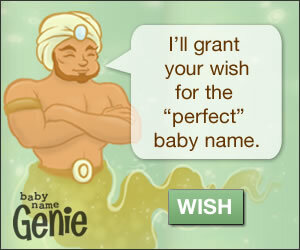 On top of having a baby name list, does anyone else have a possible pet name list? And/or does anyone else do middle names for pets? If so, share your list or current pet names here! Boris (British shorthair that we mistakenly thought was a Russian Blue. Boris isn't actually our cat. He belongs to somebody in the neighborhood but hangs out around my parents' house. We don't know his actual name). Morgana (black cat. Her name was a compromise between my brother and I. He wanted a name after a video game, and I wanted something historical or mythological. Morgana is a cat in the video game Persona 5, and is another name for Morgan Le Fay from Arthurian legend). Sable (black cat that randomly hangs around my parents' house. I started calling her Sable because it's another word for black, and I couldn't just keep calling her "kitty"). Cassius (a boxer, named after Muhammad Ali. His birth name was Cassius Clay). I sorta do, but for only three different animals, & each has four name. In case you couldn't tell, I'm a fan of Queen, Food names, & Pokémon. [font=georgia]Cassius (a boxer, named after Muhammad Ali. His birth name was Cassius Clay). I love Anya and Dimitri for Russian Blues! That's so perfect! I think Bruin and Cassius are perfect for their breeds too! I didn't even think to do this until my last pet. When I found out I was getting him, I made a list of names based off his picture since I didn't know if he was a boy or a girl (I had a feeling boy). He was supposed to be Benson but after I saw him Sylvester fit better. I gave him a middle name of Jon for sentimental/personal reasons but I actually ended up calling him Sylvester Jon sometimes. So it makes me want to use middles for future pets as well. * Baxter Bones: Having a dog named Baxter is a goal of mine. I just like the sound of Bones with it. Hoping for this to be a Dalmatian. * Koda Bear: I got Koda from Brother Bear. I think it's adorable. But that's why I put Bear with it as well. Just sounds so cute. * Puck Stanley/Robin: I'm a hockey fan so a pet named Puck needs to happen lol. At first I was thinking a black cat but I think it could work on a dog. I'm torn between Stanley and Robin for a middle. Stanley is a nod to the Stanley cup and completes the hockey connection whereas Robin is a name I love but can't use on a child (my stepbrothers mom's name) but it also completes the Shakespeare connection, which I also love. Either way, it connects to both and I love both. * Fiala Rinne: These are both players from my favorite team. Fiala's nickname is Fifi and some love it (me) and some hate it (too much like a dog) so I'm running with the idea of naming a dog Fiala and calling it Fifi. ~A Dalmatian is my #1 want but other breeds I like that could go with Koda, Puck, and Fiala are a beagle, a husky, and an Australian shepherd. Puck would probably fit the husky, the other two could be either or. I'll have to meet them. * Cadam/Catam Levine: After hearing about Bark Ruffalo (Mark Ruffalo) I was set to find one similar and this is what I came up with. It's hilarious and I love Adam Levine. Not sure on spelling or nicknames, which is really my only holdup. * Benson Nash: This will probably be my next baby (if I don't get the next two first) in honor of my sweet Sly. I still want to name a cat Benson, it's so sweet. I just like Nash with it. * Opie Taylor: Opie Taylor is after the Andy Griffith show. I love the idea of a little Opie cat running around. Ideally an orange tabby since Opie was a redhead (played by Ron Howard). * Oliver Twist: Oliver and Company is one of my all time favorite movies. I've wanted a male orange tabby named Oliver for as long as I can remember. In a perfect world, I can get a pair of brothers or around the same age for Opie and Oliver. So I wanted a middle name for Oliver to pair with Opie Taylor. After remembering Oliver and Company was after Oliver Twist, that was it. I was sold. Two orange tabbies named Opie Taylor and Oliver Twist is so swoonworthy to me. * Aslan Leo: After watching Narnia, I fell in love with Aslan. Unfortunately, I can't see myself using it on a child. Leo is also lion so I think it works well and sounds good with Aslan. * Bagheera Mowgli: Obviously from Jungle Book. Bagheera has female history to it but I always thought of Bagheera from JB as male and pairing it with Mowgli definitely makes it more male for me but it was between Mowgli or Baloo for the middle and I just like the sound of Mowgli better. * Cookie Doe: The only girl name on my list! I just prefer male pets lol. One of Sylvester's potential names was Cookie, boy or girl. But once I thought of Cookie Doe as a pair, I fell in love with that for a little girl cat. I love your list! I seem to prefer male pets aw well Anyway, I am obsessed with Cadam Levine! Cookie Doe & Bagheera Mowgli are awesome too! Nice job on your list! My cat Aragorn was almost named Bagheera! I love Cadam Levine, Aslan Leo, and Opie Taylor. Opie is a perfect name for an orange cat. Gomez for a guinea pig and Felix for an orange kitty.